Not everyone needs a massive truck or a sleek sports car. Sometimes, you just need a practical, economical vehicle to get around the city and maybe take the occasional weekend adventure; enter the 2018 Ford EcoSport. This subcompact SUV might look small, but it offers big advantages. Starting at only $20,599 it’s an affordable choice, especially thanks to its excellent fuel economy. Throw in a versatile cargo space, along with its slim profile to help you navigate the busy city, and the EcoSport is the perfect choice for the modern commuter. 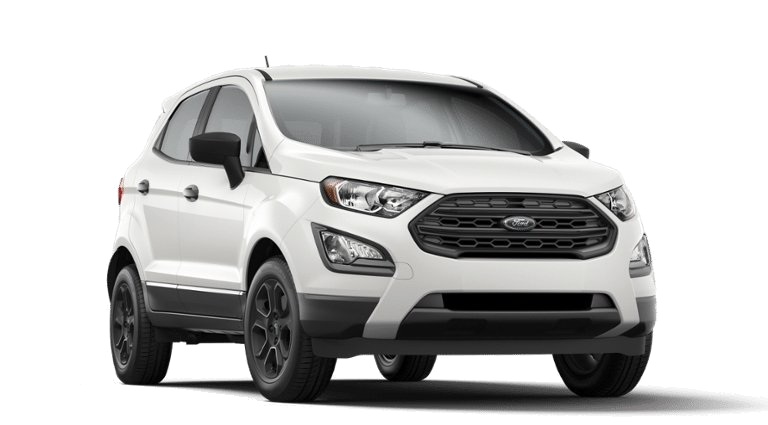 Westview Ford carries the full line of 2018 Ford EcoSports. Come test drive one today, at either our Courtenay or Powell River location, whichever is most convenient for you! When you get a subcompact SUV, the first thing you’re looking for is fuel economy. After all, when you’re running around town on errands, you don’t want to be stopping for gas every few days! The standard 1.0L EcoBoost® engine with Auto Start-Stop Technology is just the ticket. The already impressively efficient EcoBoost® engine’s start-stop technology shuts down the engine when you’ve come to a stop, and restarts it when you hit the accelerator, to ensure you don’t waste fuel idling. Experience an impressive 8.6L/100km in the city, and 8.1L on the highway! Plus, you don’t lose any of the “zip” you want from your engine, thanks to turbocharging and direct injection. Your EcoSport will get you from point A to point B, and you’ll already be excited to head onward to point C! You hear “subcompact SUV” and you expect the 2018 Ford EcoSport to be small. Brace yourself for a big surprise! The rear hatch opens to an adjustable cargo space which lets you customize it however you need for your needs. Got some large cargo needing stowing? 60/40 Flip-Up and Split-Fold-Flat rear seat backs give you extra space when you need it, and are easily switchable on the fly! 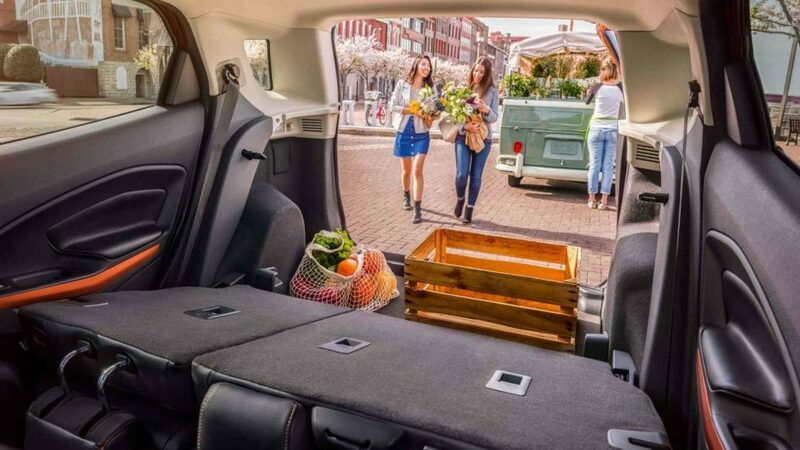 The EcoSport even makes space for your passengers, as its interior design offers up plenty of leg-, head- and hip-room not just in the front, but in the back seats, too! The cabin space is also made with driver comfort in mind, to ensure everything you need is within easy reach when you need it. 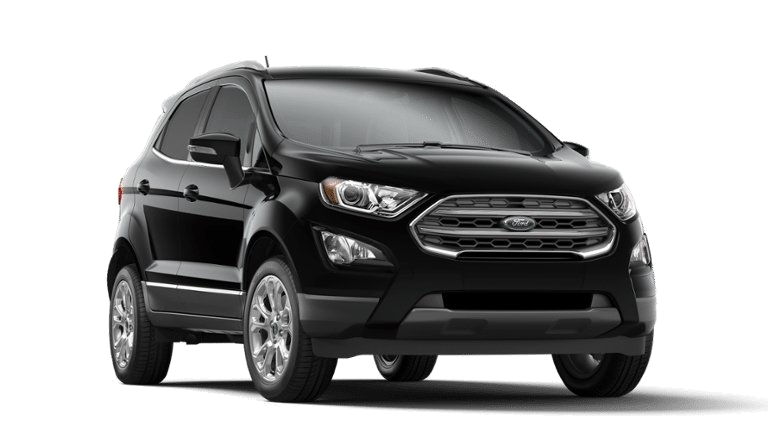 Starting at $23,599, the EcoSport SE adds a little extra flash to the exterior of an already stylish SUV. A standard Reverse Sensing System also makes parking in the city easier than ever. 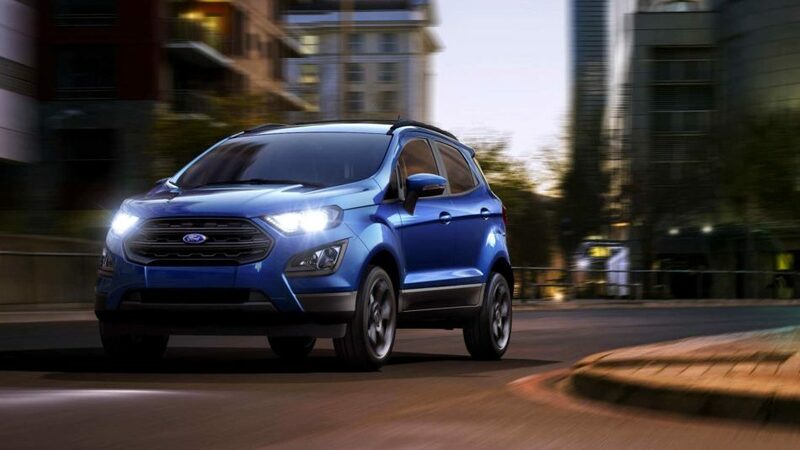 Starting at $27,099, the EcoSport Titanium gives you impressive chrome accents and LED signature lighting. Standard Blind Spot Information System with Cross-Traffic Alert keeps an eye on the road for you. 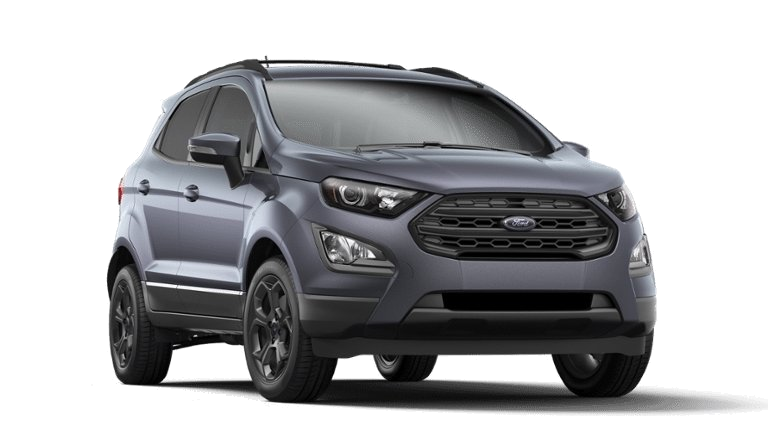 Starting at $27,899, the EcoSport SES amps up the power with a standard 2.0L Ti-VCT I-4 engine with Auto Start-Stop Technology, and is the only EcoSport with Intelligent 4WD to help you better grip the road.